I’m very excited that the weather is starting to get a bit cooler, and the oversized shirts/jackets are being pulled out. 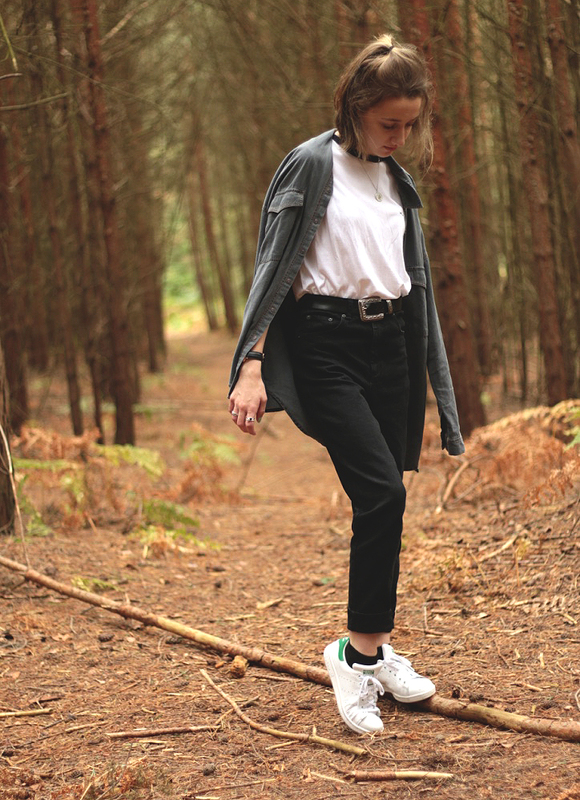 I’ve been obsessed with mom jeans as of late, and these ones from Asos literally rock. 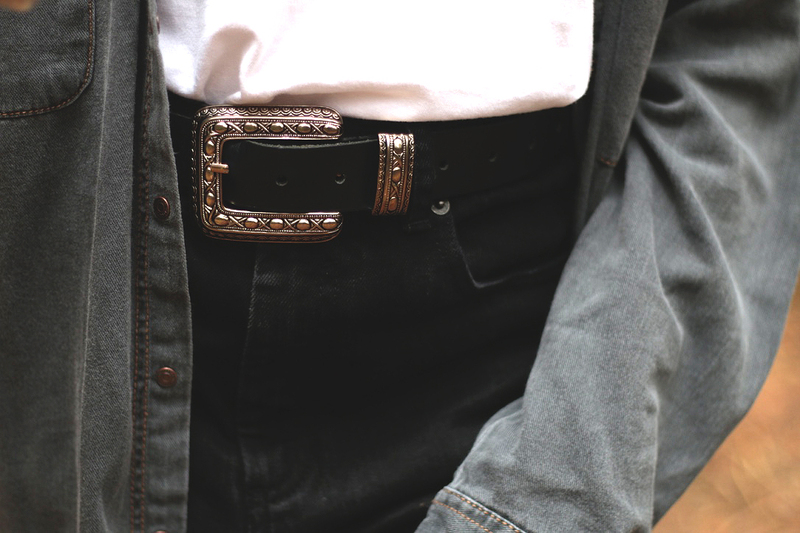 Paired with a western style belt, its just my go to. 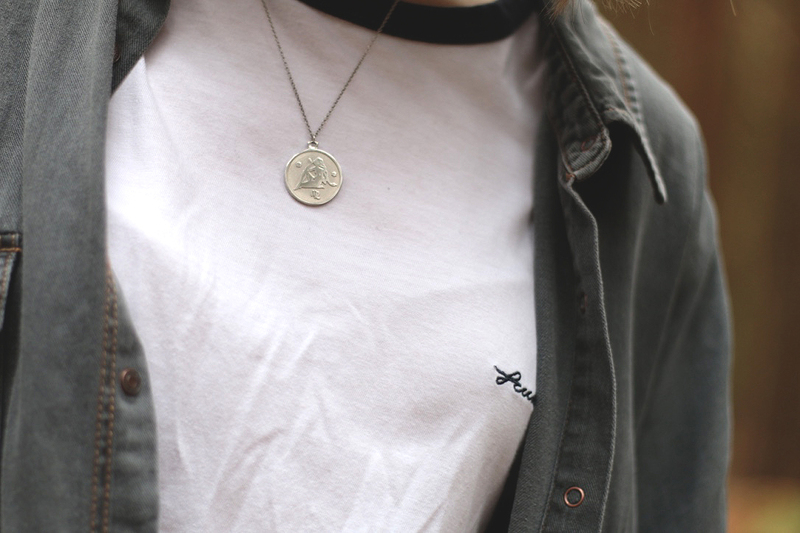 A simple ringer tshirt goes really nicely with baggy black jeans. And finallly I can style over sized shirts! 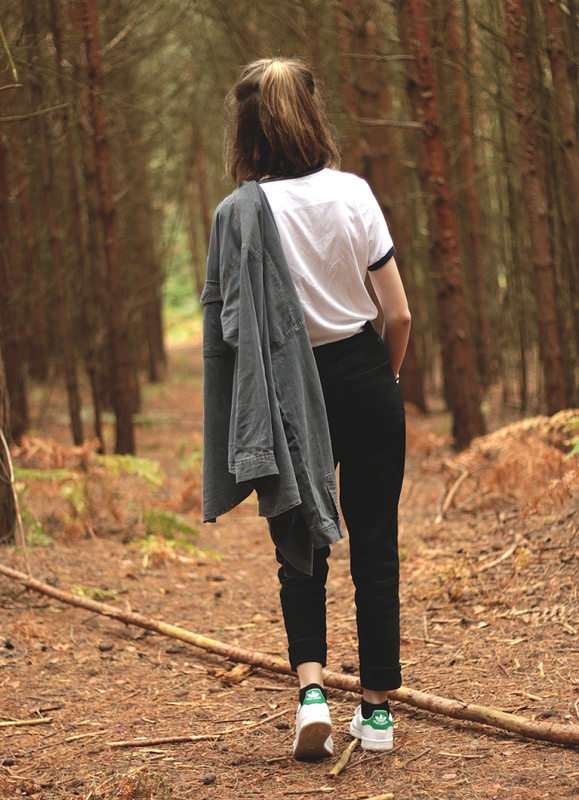 I adore this shirt from Pull&Bear, it actually keeps me surprisingly warm, and it goes with basically everything. Winner for me. Finally, shoes. 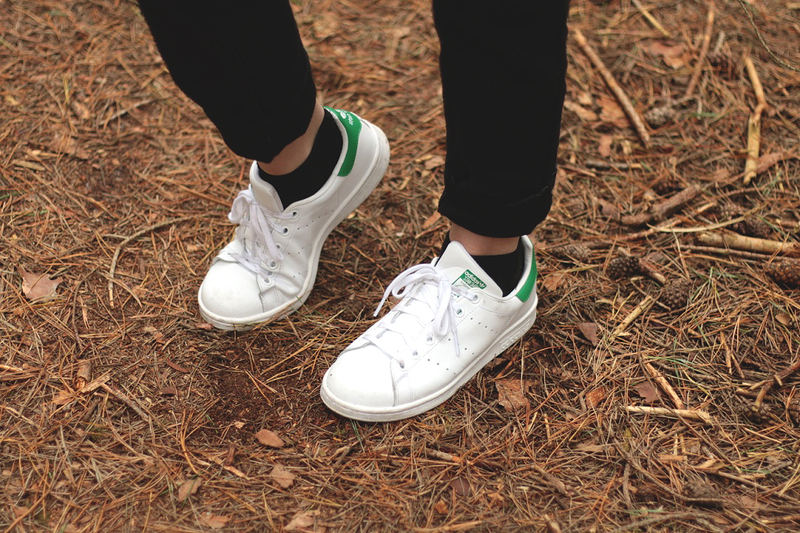 I recently picked up a pair of Stan Smith’s and haven’t hardly worn anything else since. They’re so comfy and they look really lovely with this outfit. Oooh, and my necklace. Its one of Anna Saccone’s star sign necklaces, mines Virgo & I’m obsessed, so beautiful. 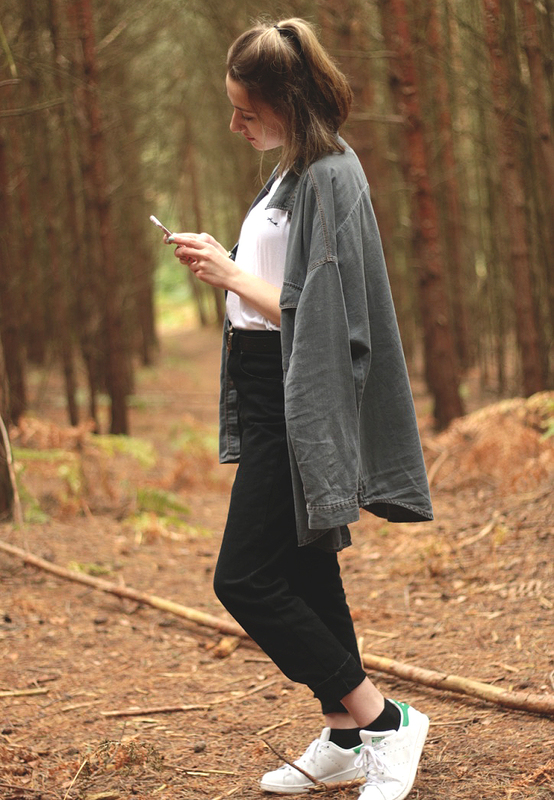 I’ve linked everything I’m wearing below if you’re interested! Whats your favourite piece from this outfit?